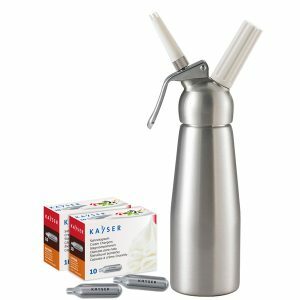 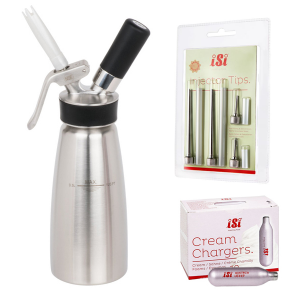 This is a great combo featuring a genuine Mosa constructed whipped cream dispenser and 1 box of 50 Mosa whipped cream chargers. Unlike some lesser quality dispensers. 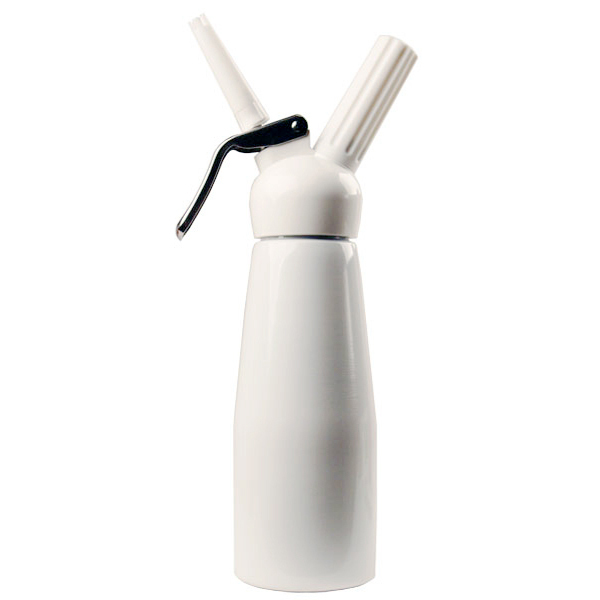 Mosa of Taiwan produces reliable quality for a very reasonable price. 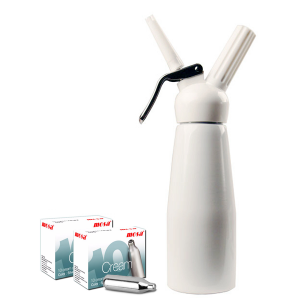 This product is currently on back order for a few days, sorry! 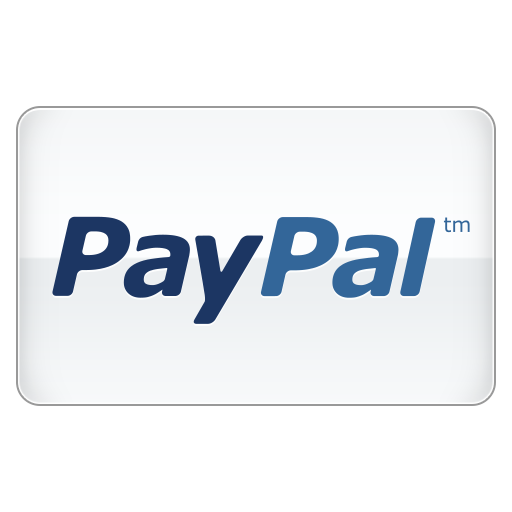 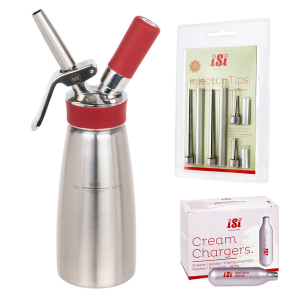 Join the wait list and we will e-mail you when this item becomes available. 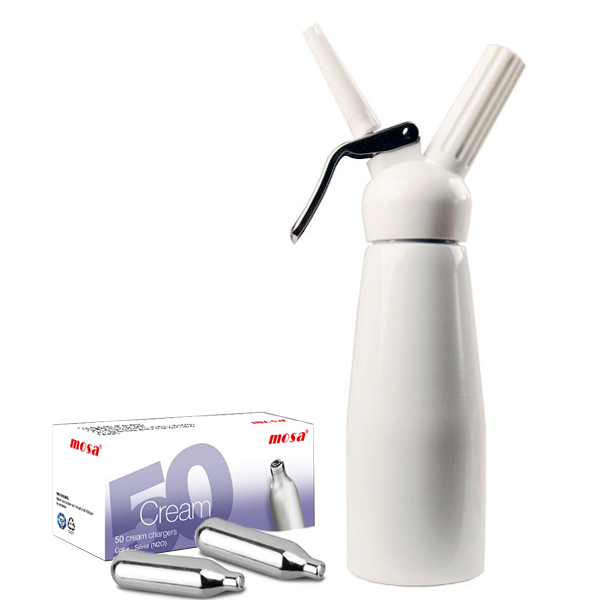 This half litre (500ml) white whipped cream dispenser offer reliability at a low cost to you. 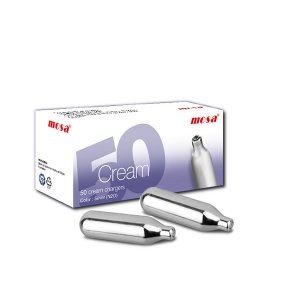 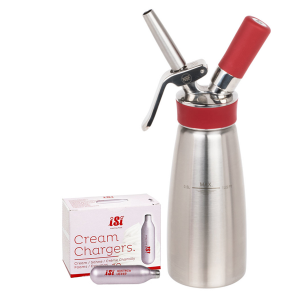 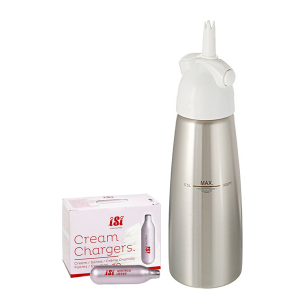 The Mosa whipped cream dispensers are suitable for home use, or light commercial use. 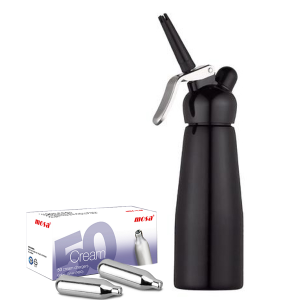 Each dispenser also features an aluminium bottle; either well finished attractive lacquer finish or clear coated brush aluminium, and two tips. 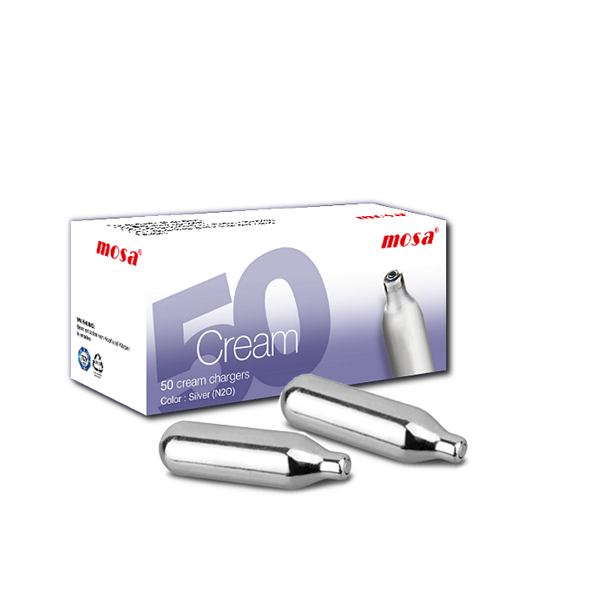 Comes with 50 Mosa cream chargers.